The first instalment of the partnership dubbed “The Clayton Glass Academy” was a rousing success. As many as 60 candidates were interested in the 7-week course, located on Clayton Glass’ state-of-the-art factory floor. 22 of the 60 candidates managed to secure their places on the 7-week course, 7 of those completing the course were offered employment. All 7 decided to take this offer and are now full-time employees at Clayton Glass. Pictured below are some of the successful candidates. 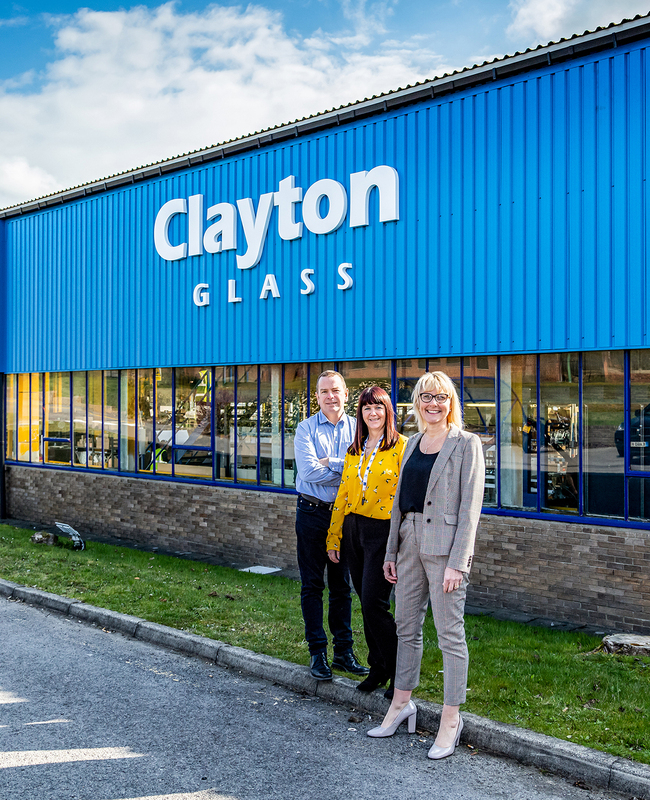 “We are passionate about doing things like this” said Lynn Snailham, the Office Manager at Clayton Glass. Lynn developed the program with Lisa Waller from Derwentside College. “It benefits both parties, they get the experience of working in an exciting role, and we get high-quality, driven workers” said Lynn. Clayton Glass hope to continue this partnership for many years to come. The next program starts after Easter.